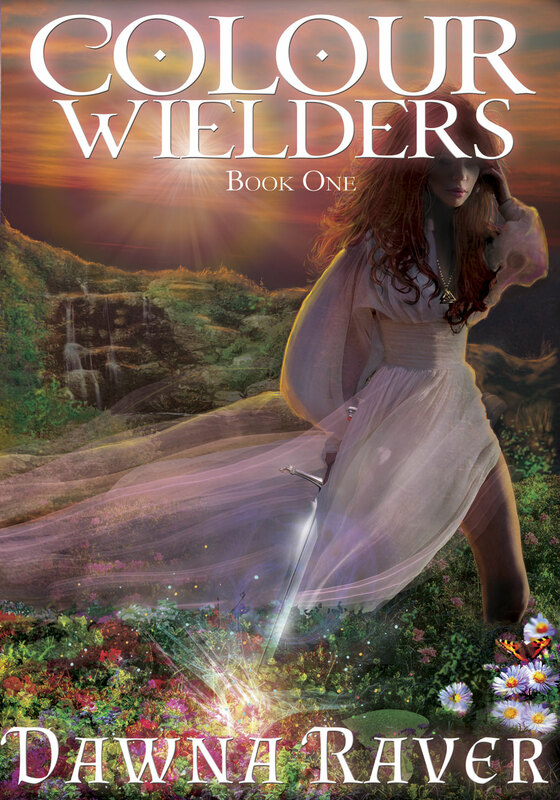 I'm happy to announce that Colour Wielders is back on the market with a pretty new face and updated content. It thrills me to be able to share it with you today. Thank you Jade Hart at Black Firefly for all her work, Michelle Johnson for my amazing cover, and Danielle Blanchard for all your hard work and help. If you have time, please stop by Facebook tonight and party with us at 4:00 central https://www.facebook.com/events/314183782060128 hosted by the wonderful Leslie Whitaker. Behind the Faerying Mysts, hidden from Mortal eyes, is a land where gods and creatures of myth and legend dwell. And in the Mortal Realm, their Princess is hidden away. Quinn Sinclair lives an ordinary life with her less-than-loving mother in Conifer, Colorado, clueless of her true nature. On the night of her birthday, a staggering betrayal sends her life spinning out-of-control. As she struggles to pick up the pieces, a vision of a man with haunting tourmaline-blue eyes begs her for help, and she is transported into a Magykal battle-forever changing her life. Arik Morgaine—Demigod bad boy and outcast of the Magykal Realm—tried to avoid contact with Princess Quinn for eighteen years, not wanting to make good on an old threat. But the fates have other plans. Arik can no longer deny his growing desire for Quinn, or the need to protect her from those wanting to control her burgeoning powers. Can the two of them come together and save the Magykal Realm from being destroyed by the Darkest of Magyks? New Adult. Recommended for 18 and above. Mature themes, sexual situations, and profanity. Dawna Raver is an author of paranormal romance and urban fantasy. Colour Wielders, Book One, is her debut novel. When she's not spending time in her fantasy world, Dawna loves football, reading, and pretending she's a top chef in the kitchen. Oh, and fawning over her dogs and husband, sometimes in that order. When I was a little girl, going out to check the chickens in the morning used to make me angry (well, maybe during my teenage little girl years). I had to slog through the mud and muck, endure frigid mornings with a thin coat, a pail of food, and one of water. I had to endure heat that would melt ice cream in seconds. I don't know why my parents felt the need to buy chickens instead of picking up their eggs at the store for 99 cents or a pound of their meat for a buck or two, but they did. I didn't understand it, then. Now, I proudly own six chickens. Why? Because they're FUN. Yep, the squawking, cackling, and/or crowing--and somehow I ended up with two that crow--birds are an exciting addition to the Dehaba household. They started out as tiny, foul-smelling things that lived in our basement and grabbed our hearts with their peep-peeping. We spent countless hours sitting with them, petting them, holding them, yelling at the girls not to kiss them and to wash their hands! Everyone was itching to start naming our new flock, but they were difficult to tell apart. We knew we had one Rhode Island Red and that she'd grow larger than all the other "girls" because they were various breeds of Bantams. So, she instantly earned the name "Big Red". She's not so big here yet, but she's a growing girl. The Man and I hated the smell. We have good sniffers, and when something stinks, it's annoying. So we moved the girls out to the garage with their heat lamps (our garage is insulated and drywalled, before you get all judgy). That helped the house out, but then my car smelled. We searched high and low for the perfect coop and were disappointed at almost every turn. All the houses were either too small, oddly shaped, or very expensive. After stumbling across a local farm store, we discovered a home builder provided the store with coops as a side business. We snatched one up for an excellent price, bought a trailer--yep, we bought a trailer just for our girls, sort of--hauled the thing home while watching the rearview mirror, then set it up. The Man ran electricity to the coop, we put their pine bedding in it--which I will never use again; smells awful when it gets wet--then moved the little girls out there. My daughters loved it. They could sit outside in an enclosed area and play with their "babies". Afterward, we'd scoop the birds up and put them back in the warm coop. I'm not sure if I've ever seen Kid #3 (gray sweatshirt) sit still so long or be so gentle with anything. She has a heart of gold, that child. So, the chickens grew and grew and grew. I changed pine bedding more frequently than our cat's litter and wondered constantly if there was a better way. Eventually, the chicks could spend their days in the run. Little "Blondie" is our most social Bantam. She always comes when we call "chickie, chickie" and now she's learned so well that means meal worms that she'll run to us even if we don't indicate we have a treat for her. Smart bird (ironic that her name is Blondie). Surprised the heck out of me! She also doesn't mind people holding her. Which is a good thing because my daughters always want to hold the chickens, even if it means a mad dash and grab session with lots of misses. We've taught Bailey, our Australian Shepherd, how to herd them into their coop at night. The first time he got a little overzealous and one of the birds flew into the backyard. He's calmer now, and they are too. I think they know the sight of him means, "RUN! GET IN THE HOUSE. NOW. ALL HELL'S BREAKING LOOSE." Bailey just thinks, "WEEE. A JOB. DID I DO GOOD, MOM, DAD?" We came home a couple days ago and found our first eggs. The girls are right at four months old, so we weren't sure, exactly, when they'd lay. Kid #2 found the brown surprise, and surprisingly Snowflake (who we're assuming laid it, who's all black--I'm thinking we like irony) chose not to use a nesting box. She squatted right in the run. A bit of research has led me to believe I might have to use artificial eggs to trick her into laying in the nesting box. It's also led me to believe sand makes the best chicken litter (rather than straw, pine bedding, or anything else). Next up: Goats? Cows? Ducks?